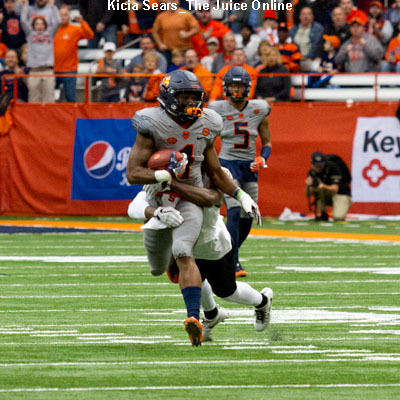 Fifteen seniors played their final game at the Carrier Dome on Saturday. Members of the senior class include: Clay Austin, Sean Avant, Parris Bennett, Devin M. Butler, Zaire Franklin, Alex Grossman, Nathan Hines, Steve Ishmael, Zach Mahoney, Jordan Martin, Jamar McGloster, Cole Murphy, Ervin Philips, Jonathan Thomas and Austin Valdez. 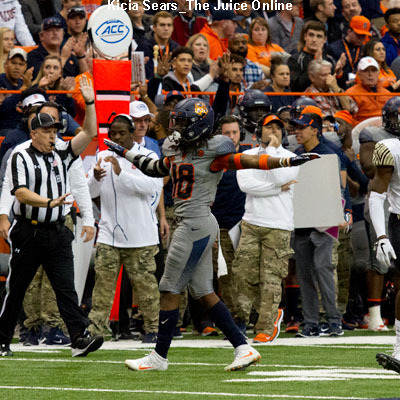 After Syracuse coach Dino Babers addressed the team in the locker room, he asked the seniors to take one last lap around the Carrier Dome to relive their past few years of memories. It is a new tradition that Babers has started. 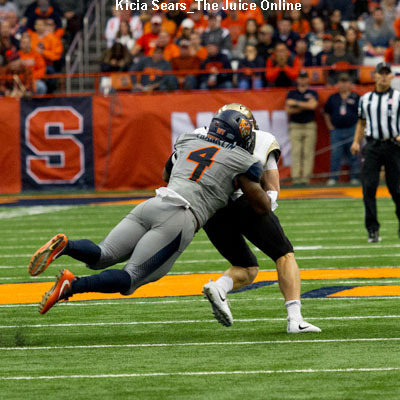 Baber’s adamantly feels that this year’s senior class has set the tone for years to come, and as we turn the page to the third chapter of the Dino era, that is how they will be remembered. The guys who will be back in key position in 2018 include: Eric Dungey (Sr.) at quarterback; Dontae Strickland (Sr.) and Moe Neal (Jr.) at running back; Sean Riley (Jr.) and Devin Butler (Jr.) at wide receiver; defensive end Alton Robinson (Jr.) and Scoop Bradshaw (Jr.) Rodney Williams (Sr.) and Evan Foster (Jr.) in the secondary. Babers is optimistic of the future.